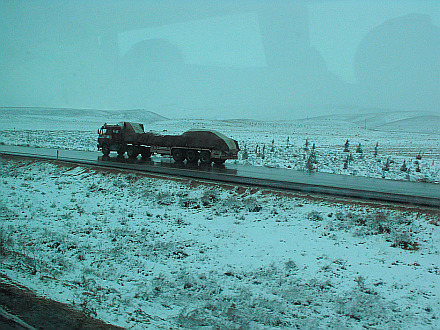 I was planning to visit Syria already in spring 2008, when i wanted to combine it with my journey to Iran, but time didn't allow that. Eight months later, in February 2009, when i wanted to go somewhere for a short one week trip outside of Europe, the decision where to go was pretty easy. 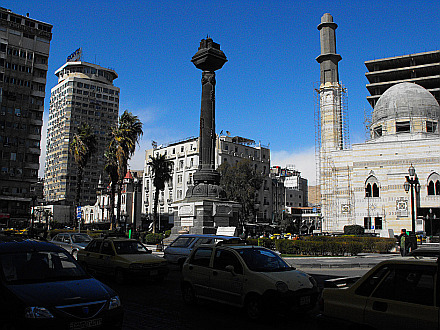 Customs and passport control at Damascus International Airport was a breeze, in the arrival hall i changed my USD into Syrian Pounds and took a shuttle bus to downtown, where I anchored in Al Haramayn hotel. Highlight for the afternoon was visit of the famous Ummayad Mosque, which is one of the "big" mosques for Muslims. 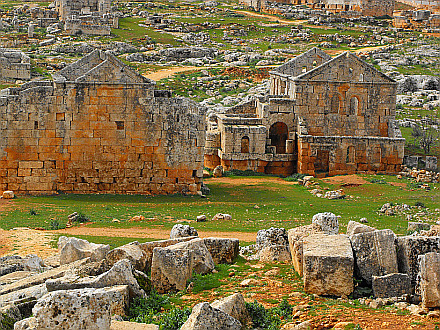 It was build in the beginning of the 8th century, has 3 minarets and a very large courtyard. 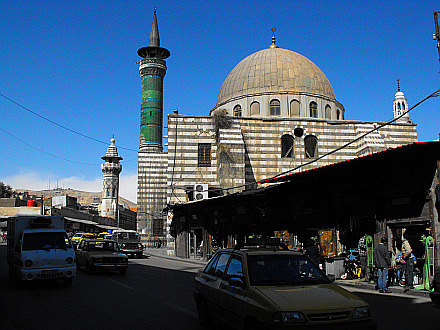 Next day morning i left Damascus and headed to the north, to Hamah. It was cold and rained and as we climbed up bit higher to the mountains it even snowed! 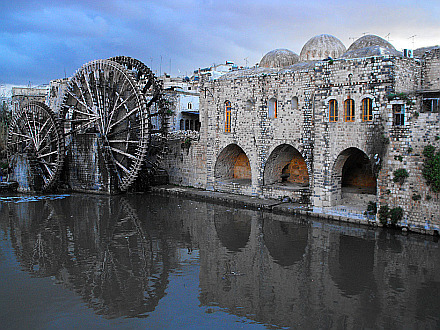 In Hamah i explored some of the huge ancient water wheels - norias, and later in the evening set myself in hotel Riad - 700 SYP a night. 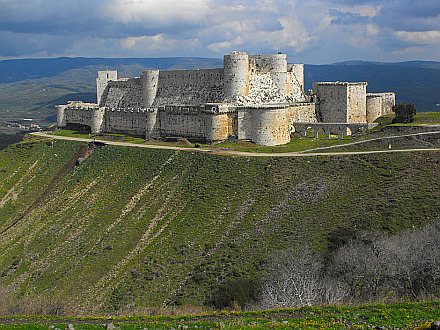 For next day i sign up for a tour to Masyaf Fortress and famous crusader castle Crac des Chevaliers. 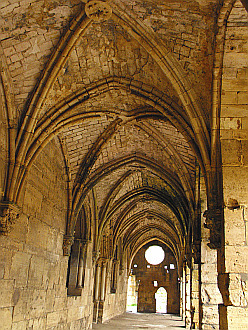 Especially Crac des Chevaliers is an interesting site. 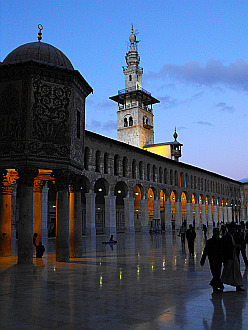 Highly recommend to pay it a visit if you will be in Syria. Following day, after just around one hour of driving on narrow roads we get to ruins of Apamea (built around 3rd century BC). Already the first view of the long columns colonade was astonishing. No other tourists were there, so one could really enjoy the place. If this site would stand in a country like Egypt, there would be at least 50 buses of tourists and hundreds of touts offering you some crappy souvenirs. 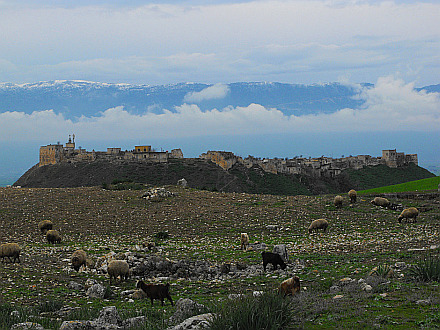 After Apamea we drive further to the north to Serjilla and Al-Bara, two of the so called Dead Cities. 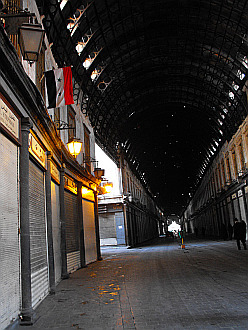 Al-Bara is interesting thanks to it's pyramid-shapped houses, but i liked Serjilla more. My time for the north of Syria was over and unfortunately i did not have time for visit of Aleppo. 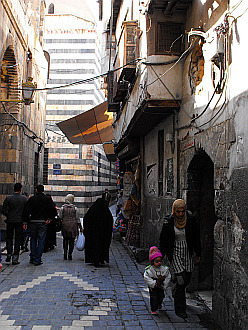 Taking a bus back to Damascus and spending rest of the day there strolling around Old City and visiting the Ummayad Mosque once again. Next day follows just the return flight home. It was a short trip, but i was satisfied. 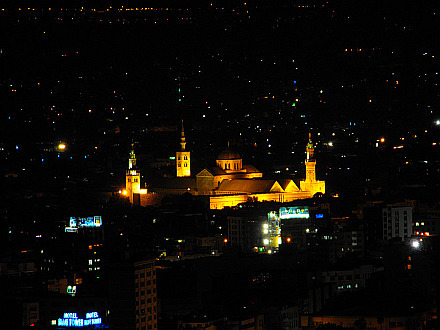 Syria is definitely worth visiting - you will hardly find a country, which on relatively small space would have so many sights and interesting places to visit.